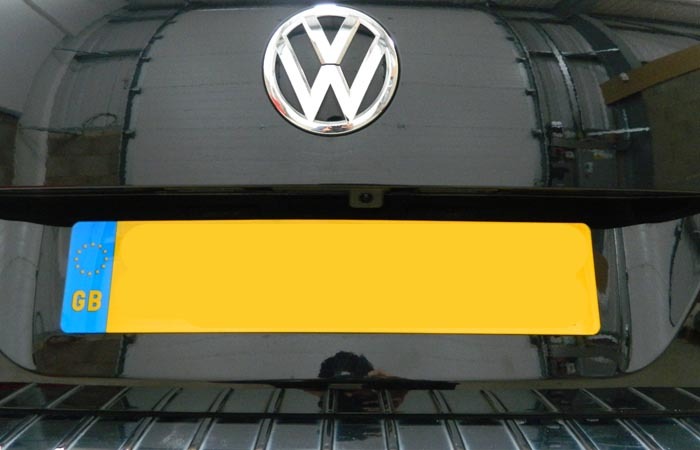 Complete set to retrofit the original VW Touareg 7P rear view camera. Visual representation of the rear of the vehicle in the navigation system by way of the boot grab handle integrated camera. Automatic switching to rear view camera when reverse gear selected. Much easier orientation due to guide lines and fields which are integrated into the video picture and change depending on the steering wheel angle. No additional parts or screens necessary.